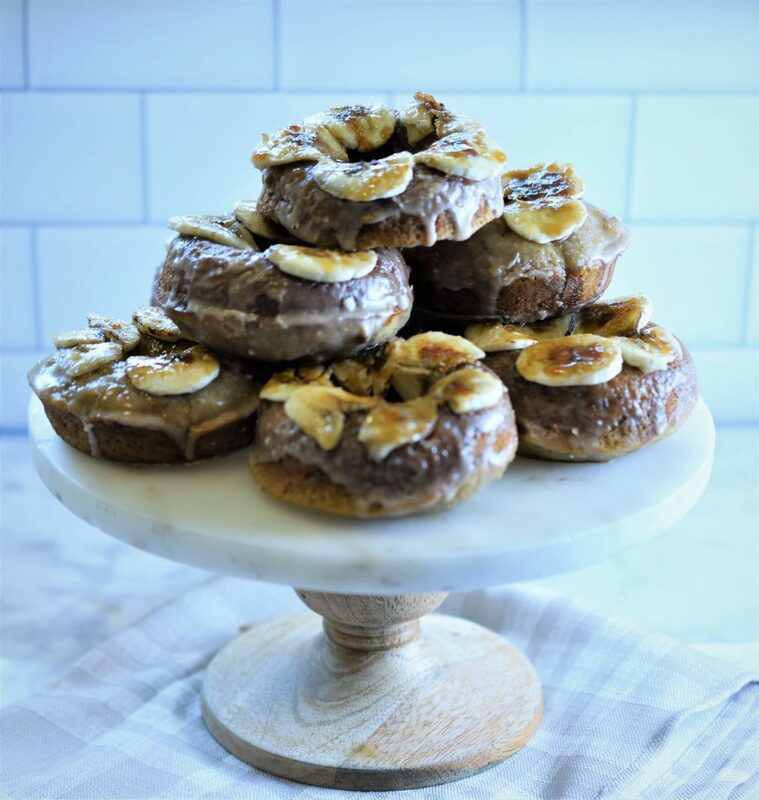 Vegan Baked Ginger, Pecan and Banana Brulee Donuts | Recipe For A Party | Life is a Party, So Celebrate! There is something about Sundays, sleeping in and enjoying a leisurely morning and having brunch. 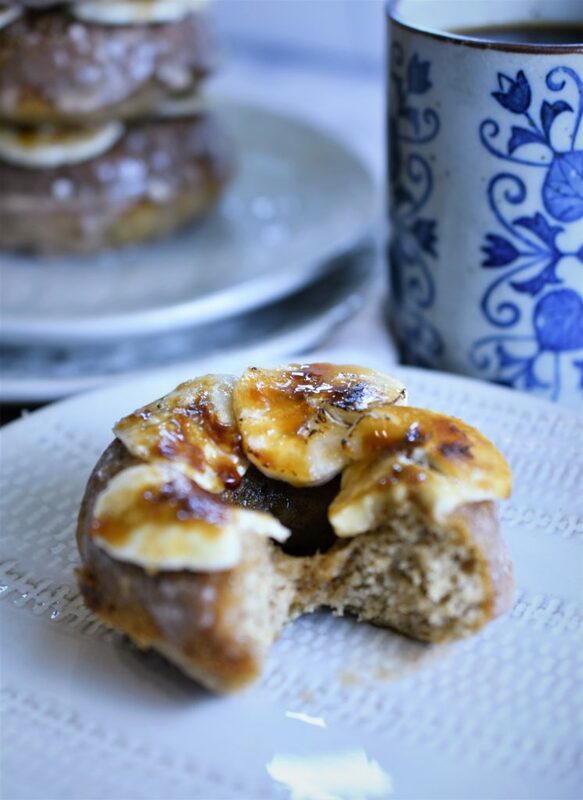 In my opinion breakfast tastes so much better on Sundays and your brunch will be amazing with my recipe for these decadent vegan baked ginger, pecan and banana Brulee donuts…Brulee donuts? 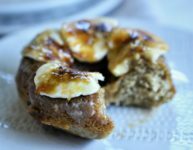 Yes, why not have that delicious caramelized sugar crunch that you experience with crème Brulee but on top of your donut, OMG! 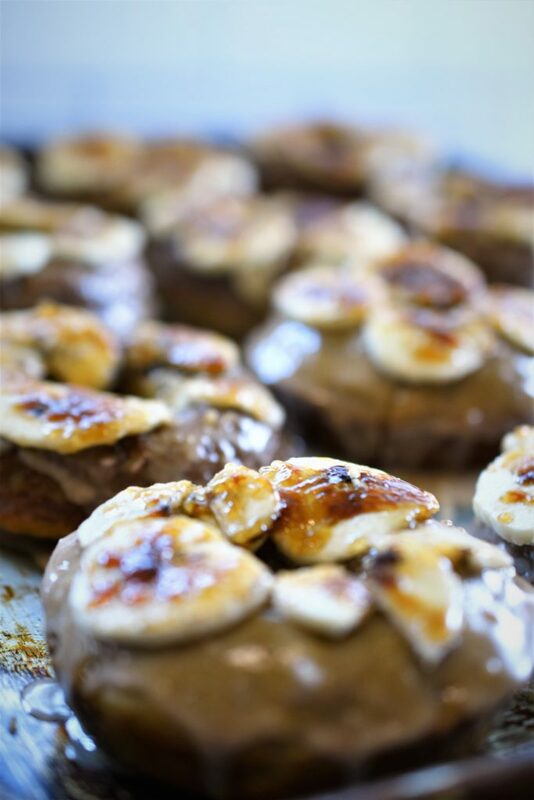 Once you take a bite out of these tender donuts you will first get that caramelized crunch through the banana topping and into the pecan banana donut , the rest of your Sunday will be on a happy note… you may not get much done with the rest of your day because you will be daydreaming about what you had for breakfast. 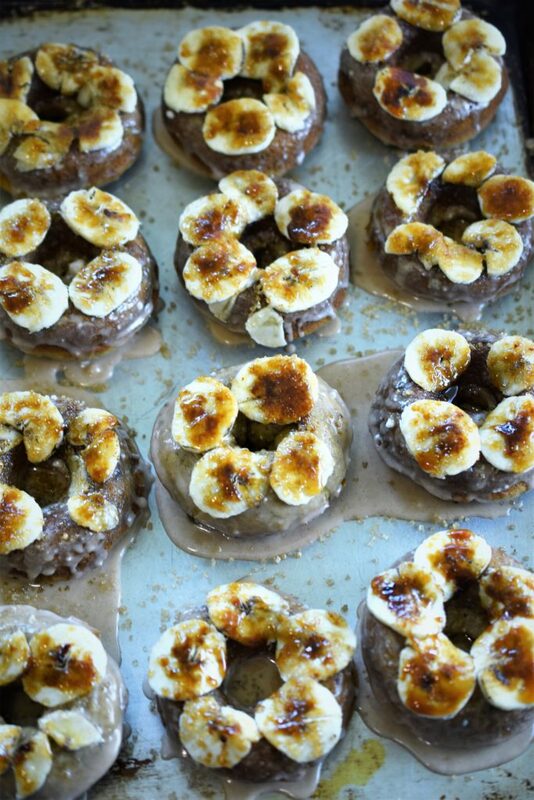 I honestly think these are one of the best baked recipes that I have come up with and I don’t really even care much for bananas and I had one. Tower of donuts for one! Did I happen to mention that these are vegan? You don’t need dairy, eggs or butter for this recipe because they did not lack flavor or texture at all. 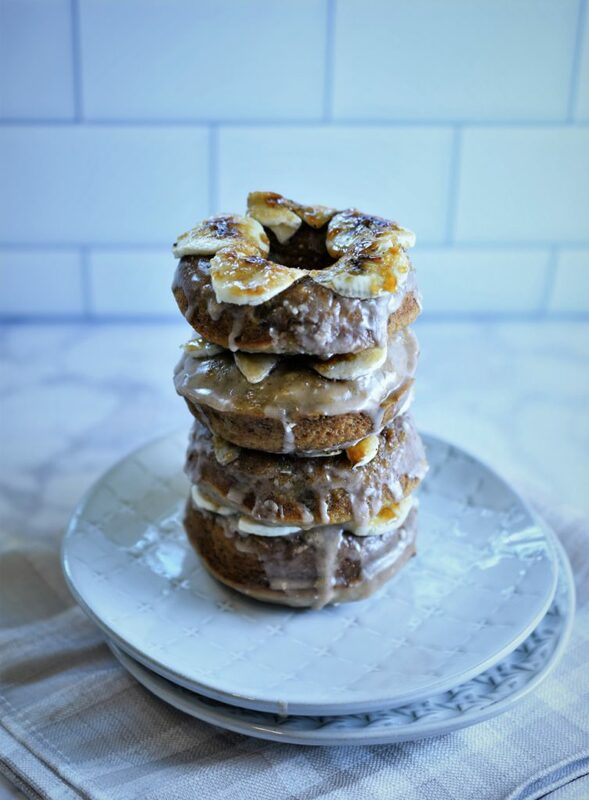 These crunchy caramelized sugary banana topped donuts will be your favorite brunch recipe, I promise! 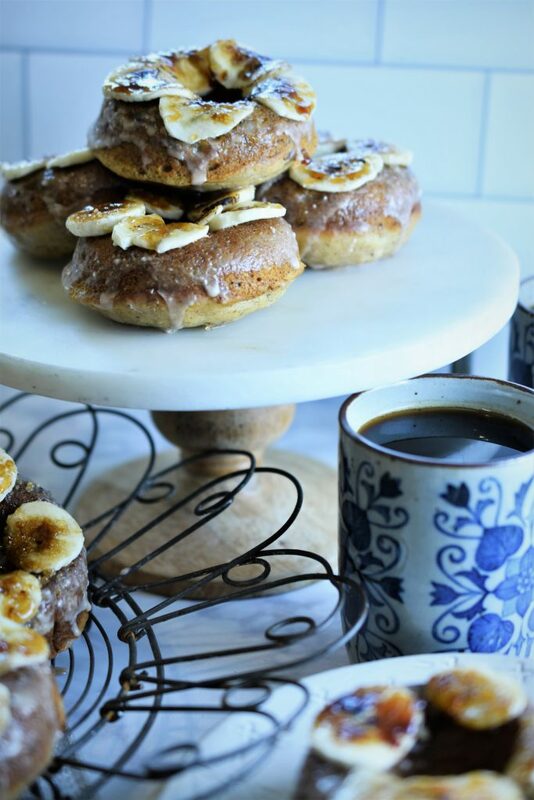 mix together the glaze ingredients in a shallow bowl and dip the rounded side of the baked donut into the glaze and place on top of a wire rack lined with a cookie sheet, with the leftover icing, take a spoon and drizzle more icing on top. 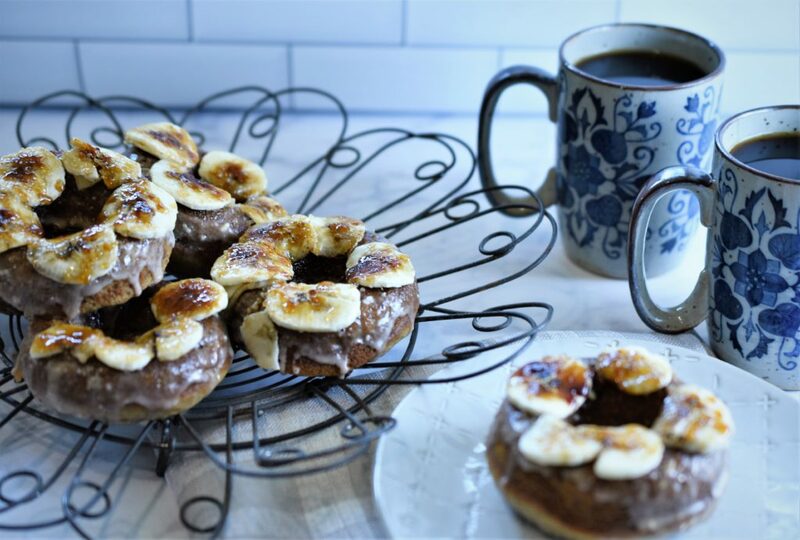 Top each donut with some sliced bananas, sprinkle sugar on top of that and with your hand held kitchen torch, fire the top of the bananas on each donut unit the sugar caramelizes, let rest for 10 minutes, makes 12 donuts. 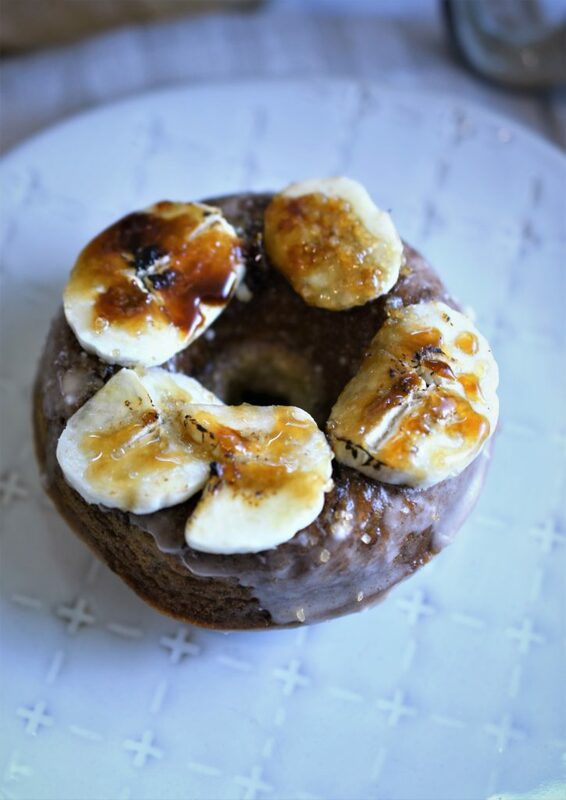 Enjoy this breakfast inspired dessert donut any time of day, particularly in the morning…we all should start off the mornings with such decadence.